I only own one TV. But it’s 46″ across. Also, it’s manufactured by Samsung. 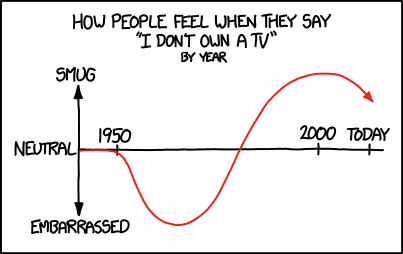 I have no idea how any of this makes me feel, but I did find this xkcd graph somewhat amusing. If only as much effort were put into the stuff below the bylines, eh. I couldn’t care less about sport, so this strip makes complete sense to me. 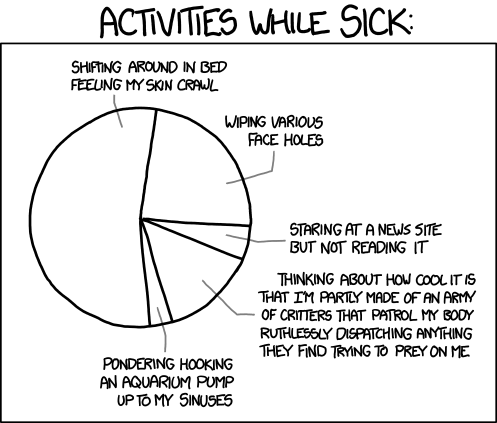 Moaning about being sick on your last day of leave. 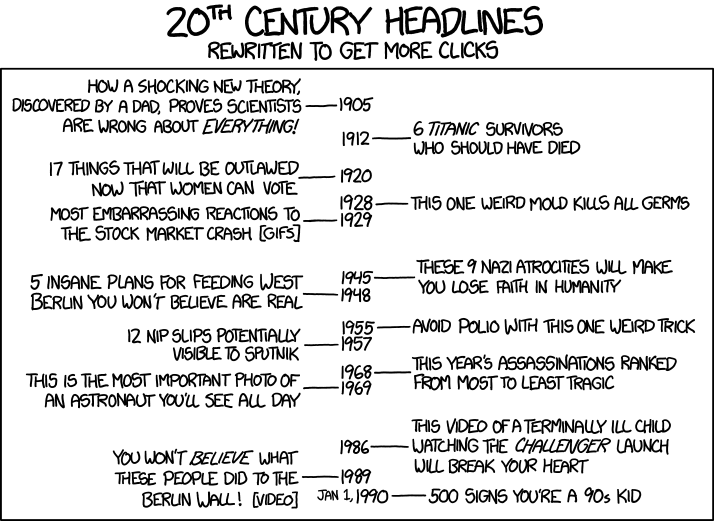 Posting xkcd comics to your blog. You’re probably already familiar with the xkcd webcomic, but if you’re not following the author’s “What if?” blog, you really should be. It’s like MythBusters, but for hypotheticals way too grand to actually test. If you’re into science or maths, you’ll love it, but even if you’re not, you’ll still find it approachable, hilarious and fascinating. Every now and then we have to insert a leap second because the Earth’s rotation is slowing down. Could we speed up Earth’s rotation, so that we do not need Leap Seconds?